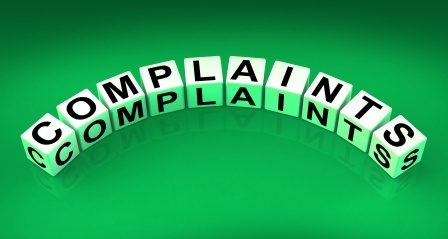 Michael Shapiro posted a blog titled, Converting a Gripe into a Goal, for Small Business Daily. He presented the work of speaker, Mike Murray,….“ There are ways of defining a problem that make it unsolvable. Often, it’s the way we frame a problem that makes it appear to be impossible to tackle. When we redefine it, we open new mental pathways to solutions. Murray presents a set of steps that you can use to reframe a gripe to a goal. Distill the concern or issue into one sentence. Next, describe it with one sentence. Now state your concern as a wish. Now describe your wish as a goal. What do you want to make happen? What would I settle for from my wish? Any solution that does not take you to your goal is not — by definition — a solution. 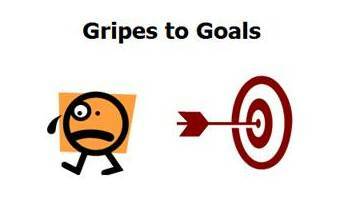 “Gripes to goals” can be an effective strategy to use when facilitating a PLC. If the group focuses on a gripe or complaint, they can become stymied and lack the thought of moving to action. Facilitating the group through the reframing process can help get them on track to problem solving. I am hearing a frustration and disappointment in the amount of effort the students put into the culminating learning task. (Seeing agreement) What is the concern we have about that lack of effort? (After listening, paraphrases) Seems we wish the students had used this opportunity to expand and deepen their learning rather than minimize the task. (Hearing consensus) So would our goal be to develop with our students a deeper understanding of the purpose of a future project before they begin? If there is agreement, a problem-solving process can begin. When in a coaching conference, I find that thinking through a “gripes- to- goals” process helps me continue a conversation so that we can move from a complaint to problem solving. I often use a series of paraphrases identifying parts of the teacher’s gripe and rephrasing present, but perhaps not stated, elements that can lead to a goal. Coach: You are worried that presenting information in class won’t get the student achievement that you want. Coach: If students read outside of class you would teach very differently. I find that I am most successful in this process if I keep a mindset/belief that underneath the teacher’s gripe there is a positive hope/desire that can develop into a goal. I can’t coach a gripe or complaint so I need to find the wish of a better outcome to spark a goal and then plan as a partner to achieve it. Coach: You have a strong desire for your students to do well. Teacher: Absolutely. They don’t see the cost to their future of the choices they are making now. Coach: Grades, as a reward or threat, just don’t seem to communicate the message you want them to hear. Take some common gripes you hear and experiment with reframing them to goals. If you get stuck on one, let me know and I’ll work on some reframing possibilities with you. Thank you for this! I will definitely use it in my PLCs this year. The link to the pdf does not seem to work for me. Can you help with that? Thanks again! Thank you for sharing these wonderful ideas! I see an incredible value in using them as I coach my colleagues this upcoming school year. You Rock! !